Enter the fray as Illidan from Blizzard's World of Warcraft, one of the most popular MMORPGs ever released. 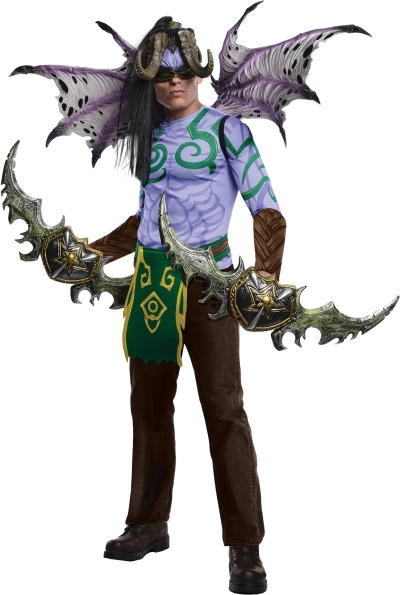 The costume includes printed tunic with attached apron, mask and detachable wings. Pants and weapons not included. Men's size Standard, one size fits most adults.